The rise of Live Quiz apps: a new trend in games monetization or just a short-lived fad? 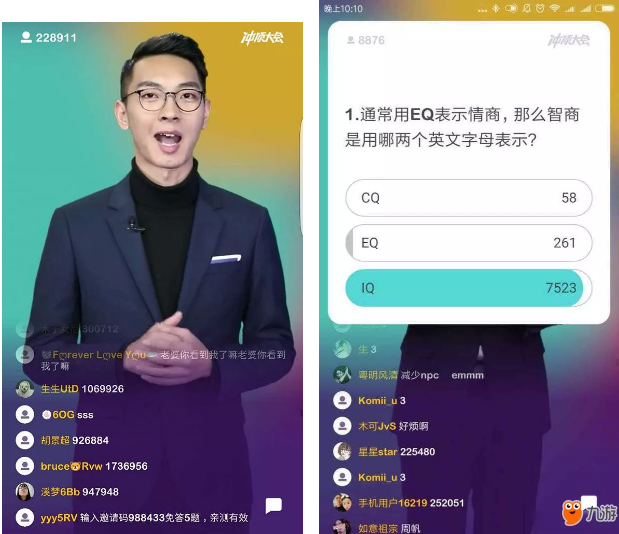 If live quiz games are to become a viable new game category, there will need to be something more solid to underpin it than grand plans and quirky marketing. If your childhood was anything like ours, you’ll have fond memories of glitzy celebrity quiz shows as a staple part of Saturday night primetime viewing. In the UK, shows like Who Wants to be A Millionaire? drew huge TV audiences week after week, becoming cultural phenomenon in their own right. America, perhaps the spiritual home of the quiz show, created programs like Wheel of Fortune, Jeopardy! and The Price is Right which were exported worldwide, and are still on our screens today. The quiz show format is almost as old as TV itself (the original version of The Price is Right first aired in 1956, and the very first TV game show was on the BBC in 1938). So perhaps we shouldn’t be surprised that the concept of a live quiz show on your mobile has arrived. The big question is whether this is a new and sustainable category, or is it just a flash in the pan? The game responsible for all the excitement is HQ Trivia. 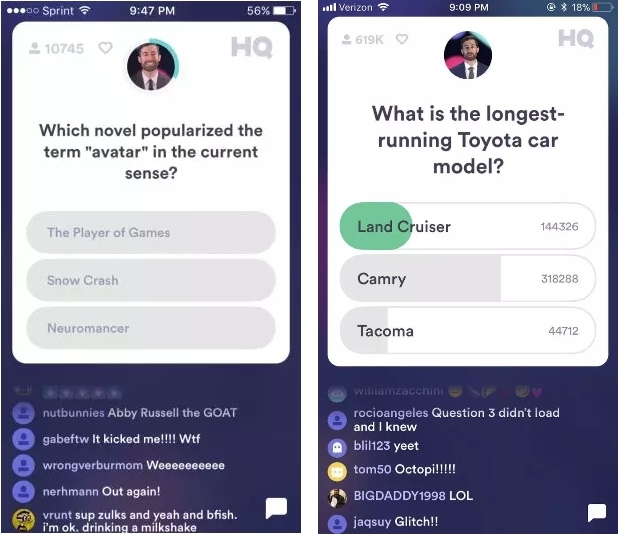 Launched first in the US but now with a UK version, up to 2 million people log into the game on their smartphone at the same time to watch a live video stream of the quiz show host present multiple-choice questions. The format is essentially a race against the clock, with players who can’t come up with the correct answer in less than 10 seconds dropping out, and those who get all the answers right sharing the prize money. The average cash prize is $2,500, but special events like the SuperBowl have seen it go as high as $20,000. However, before you quit your day job and jump online, the average prize payout is typically $10-$12 once its been shared between the winners. 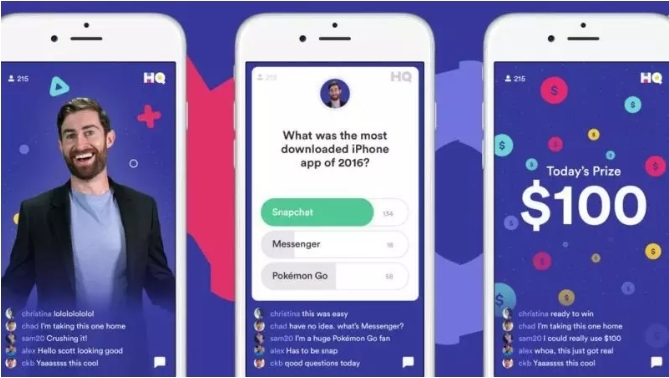 Launched by two of the former co-founders of Vine, Colin Kroll, and Rus Yusupov, HQ Trivia has created something of a storm of media coverage and interest in the live gaming approach. After all, much of the received wisdom around the success of mobile games is that they are based on short, sessional bursts of play whilst out and about or at home. The idea that millions of players would want a TV-like experience based on a specific time each week seems to have taken the industry by surprise – despite it being the basis of decades of successful TV programming. As with anything new or innovative, mobile copycats have been quick to emerge. However, it’s uncertain how sustainable these games are. After all, as a free to play game with a cash prize, there is no obvious way to monetize the players. And that’s without the overhead cost of streaming the game live to millions of concurrent players. In an interview with the BBC, Jack Kent, a mobile media analyst at HIS Market, was unsure how HQ Trivia would solve the monetization problem, suggesting that advertising would be the most obvious solution, but only if it can be done in a way that doesn’t put people off the experience. But even if HQ Trivia was to successfully introduce advertising, it’s unlikely that this alone would generate sufficient revenue to offset the raw running cost of the game – and that’s without factoring the ongoing acquisition and marketing costs. This monetization challenge isn’t limited to HQ Trivia. 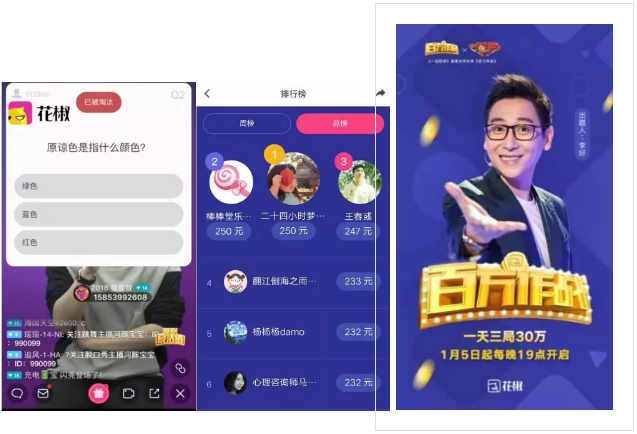 In China, several homegrown versions of the game have launched, each with its own distinct style, and cash prizes that make HQ Trivia’s look rather underwhelming. Another game promoting itself with a 1 million yuan prize pot is Millionaire Hero from imxigua.com. This is affiliated with Toutiao, currently China’s most popular mobile news and content platform with 120 million daily users. It launched in January and runs four live quiz shows every day. Although the game is popular in its own right, it’s also a handy source of traffic through to the Toutiao service, thanks to the link between the two. Not to be outdone in the race for the biggest prize fund, the brilliantly named Cheese Superman raised its prize pot to 1.01 million yuan shortly after Millionaire Hero raised its to 1 million. Cheese Superman is the creation of video streaming platform Inke, which is essentially a Chinese YouTube, with plenty of vloggers and karaoke videos. Cheese Superman also invests heavily in celebrity endorsements, using well-known TV personalities Xie Na, Wang Han, Chen He and Li Xian as quiz hosts. 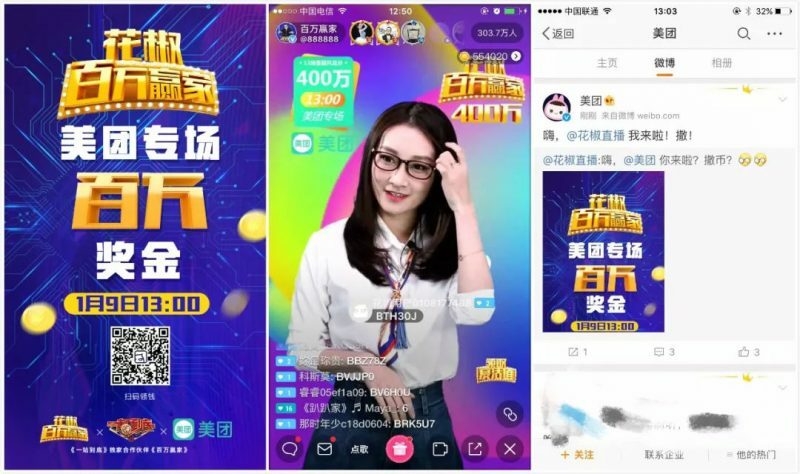 The live quiz game that currently offers the most cash is Millions of People Fight, which announced in early January it would give away 1.32 million yuan (almost $209,000). It’s published by huajiao.com, another live streaming service which is extremely popular. 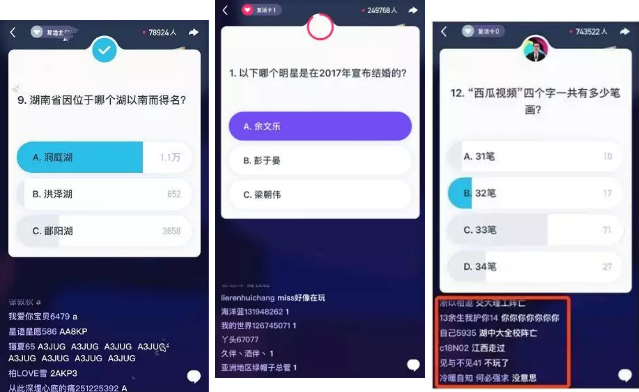 The app that could be said to have started the live quiz trend in China doesn’t offer the same level of prize but is widely known thanks to the person behind it. Race to the Top was launched by Wang Sephirex (real name Wang Sicong) the only son of Wang Jianlin, chairman of the Dalian Wanda Group and Asia’s richest man. Sephirex is often in the press, both as a businessman (his father gave him 500 million yuan to start his own company) and as one of China’s most eligible bachelors. In a memorable story from 2016, Sephirex was reported to have given his pet dog eight brand new iPhones as a gift. All of these games are clearly a lot of fun, and each of them is attracting millions of daily players. But even as a way to generate a lot of web traffic for their parent companies to try to convert, there is no obvious way to monetize this new gaming format. The race to see who can have the biggest cash prize also can’t be helping the bottom line. But maybe that’s not the point. 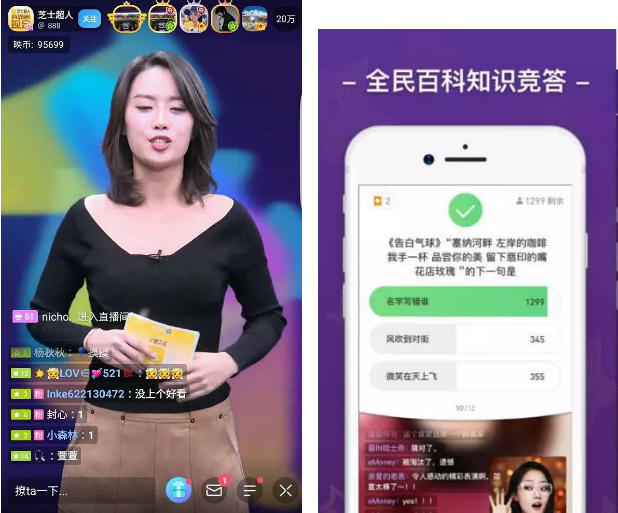 In China, all of these live quiz games have been published by businesses that already have millions of daily users, or which don’t need the app to generate a profit. They are more of a fun marketing ploy. HQ Trivia is different in that it’s not linked to anything else; the founders have launched the app thanks to VC funding, so the issue of monetization and revenues would seem to be more of an issue. For now, the founders are staying tight-lipped about their plans beyond growing the current buzz and audience for their game. 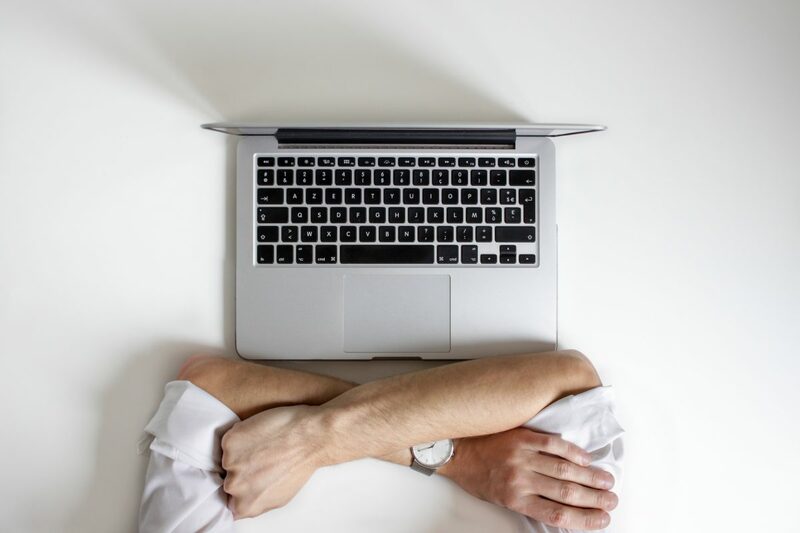 But if live quiz games are to become a viable new game category, there will need to be something more solid to underpin it than grand plans and quirky marketing.